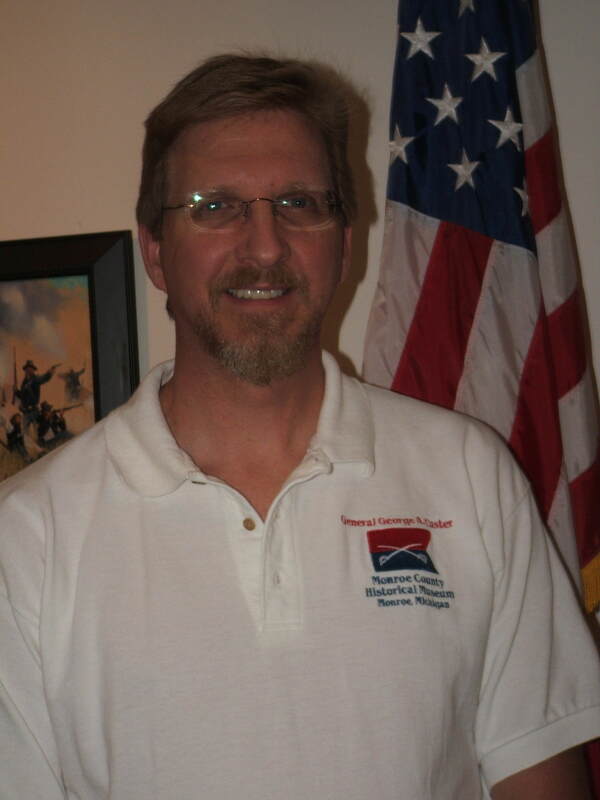 Hometown History Tours is pleased to announce that David Ingall of Temperance, Michigan will serve as guest narrator for the Southeast Michigan Civil War Remembrance Lunch & Learn Bus Tours, the Battle of the River Raisin War of 1812 Walking Tours, and the 5-day Michigan at Gettysburg Bus Tour. “I’m please to have Dave on board,” says Karin Risko, founder and director of suburban Detroit-based Hometown History Tours. David has visited almost every major Civil War battlefield, some numerous times, including Gettysburg. He’s conducted exhaustive research on the soldiers from Monroe County as well as on his own 20 relatives who fought in the Civil War. He’s also an expert on Union Civil War Hero George Armstrong Custer, who grew up in Monroe, Michigan. As the former assistant director at the Monroe County Historical Museum, home to the largest Custer collection in the world, Dave has presented the General’s story to museum visitors from around the world. The War of 1812, particularly the local Battle of the River Raisin, one of the war’s bloodiest battles, is another of David’s specialties. He’s served as an interpreter at the battlefield site for many years and has conducted numerous tours. He’s also personally researched the War of 1812 and given presentations on this topic. A member of many historic and preservation organizations, Dave’s passion for history provides for informative and entertaining tours. He’s also in demand as a speaker by various educational and historical organizations. Don’t miss the rare and unique opportunity to hear David Ingall bring to life the stories of southeast Michigan’s involvement in the Civil War and War of 1812 amidst their context – actual battlefields, graves, monuments, etc. – rather than the confines of a auditorium. Glory, Valor & Sacrifice Southeast Michigan Civil War Remembrance Tours – July 24, 25; August 14,15; and September 11, 12. Saturday tours cover Civil War sites of interest in metropolitan Detroit. Sunday tours cover Monroe, Lenawee and Washtenaw Counties. Cost of the tours is $69 for Detroit tours, $59 for Monroe tours and includes continental breakfast, lunch, admission fees, taxes, and tips. Two-day tour tickets are $119. A $6 to $10 discount is available for early bird registrations. Battle of the River Raisin Walking Tours – Saturday, July 31, August 21, September 25. 10 AM. Cost for the tours, approximately two hours in length is $15 per person. Michigan at Gettysburg, a five-day trip that highlights the Michigan regiments that fought on this sacred ground, departs on Thursday, September 16 and returns on Monday, September 20, 2010. Tour cost ranges from $935 single occupancy to $510 quad occupancy and includes several meals and admission fees. Join us for these exciting excursions that celebrate the history of southeast Michigan and its role in shaping our Nation. For further information, visit HometownHistoryTours.com online or call 734.642.5712. Established in 2009, Hometown History Tours promotes the vibrant history of southeast Michigan and encourages tourism within this region.